No longer are organizations searching for employees based on skill, know-how and tenure alone. Now, they’re focused on finding employees who are creative, passionate, collaborative and have strong character. In other words, companies are now looking at how to hire hearts instead of just heads. But, the recruitment industry has been slow to evolve to this model. However, Hueman goes beyond number of hires and hiring efficiency, taking it further through the importance they place on hearts—humans. After all, recruitment is an industry that runs on people. That’s why when founding the new company, the leadership team at this recruitment process outsourcing firm knew it couldn’t be anything but Hueman. It doesn’t just represent what they care about most—people—but it also embodies the different spectrums of cultures companies have: their different hues. "People are what drive business forward," said Hueman's CEO, Dwight Cooper. "And people are the heart of any company—especially ours. Our main focus is to help people find the right job, and help companies find the right people." Hueman’s leadership team built an award-winning culture during their 21-year tenure at PPR Talent Management Group, recognized by the Great Place to Work Institute as a best workplace in the U.S. for 13 years in a row—the only company who has such a longstanding run with the honor. Hueman’s approach is “to understand clients’ unique ‘hue’ and find their perfect match—to find which hearts will beat best with organizations,” because they know how important it is. Formerly a division of PPR Talent Management Group, Hueman was founded in the healthcare industry and focuses on culture-based hiring. Hueman makes over 12,000 hires annually. With their professionally trained recruiters, culture-based recruiting processes and the latest recruiting technology, Hueman gets to the heart of the results their clients are looking for: faster starts and higher retention, as well as decreased costs and premium labor spend. Unlike their competition, Hueman doesn’t have a typical engagement, standard suite of offerings, or a fixed pricing model. Instead, they are totally flexible and will create the right solution for clients' unique business needs, creating custom RPO solutions and pricing models that help organizational leaders meet their most difficult hiring challenges. The team at Hueman has always prided themselves on being a culture-based organization, hiring team members both for themselves and their clients that align with the culture at hand. At Hueman, their employees are all types of types—hues. They are made up of talented dreamers, entrepreneurs, creators, moms, and dads. 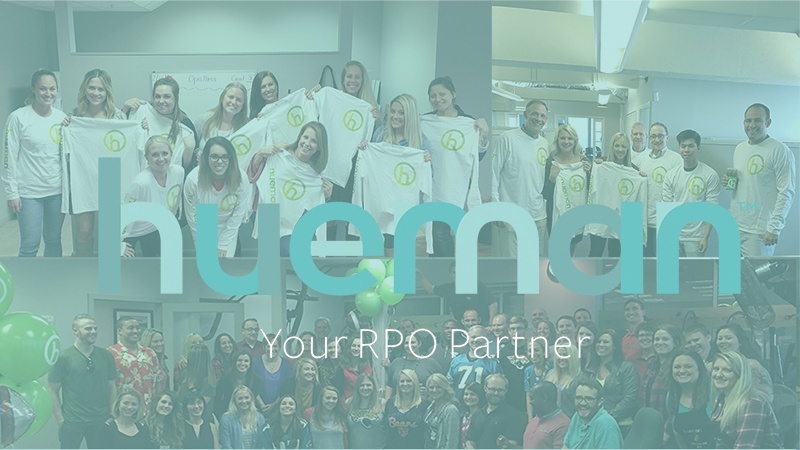 One thing all Huemans have in common: They're serious about delivering amazing outcomes while creating a great employment experience. Hueman empowers and encourages one another to provide the highest-quality service through the company culture. It's clearly an ecosystem that works—and has been highly decorated. Gallup even honored the team as one of the Top 35 Most Engaged company Cultures in the world. Most recently, the organization was ranked among the best workplaces for consulting and professional services in America, joining a stuffed-to-the-brim trophy case with shelves touting accolades from Best Medium Workplace in America to Best Workplace for Women and more. Hueman knows exactly what it takes to recruit and retain new hires who truly fit a company's culture. For them, it all starts with putting people first in everything they do.